No book is more widely known by Quinte researchers than the Pioneer Life on the Bay of Quinte (PLBQ), published in 1904. The other book that I love is the History of the Settlement of Upper Canada with Special Reference to the Bay of Quinte by William Canniff, 1869. Canniff wrote 3 books, all found at Our Roots. Both books contain errors but their positive value overshadows any criticism. They are rich in genealogical information and stories of emigration, pioneering challenges and the politics of the day. A great help in imagining life at that time. PLBQ was a subscription book. Individuals paid to have their family story and lineage entered in the book and someone in the family collected the information and wrote the section. This accounts for the errors in lineage and the sometimes inflated stories. Especially common is the claim of "loyalist" to settlers who by official standards do not meet the criteria. The books below are searchable online at either Our Roots or Google Books and sometimes at both sites. You must create a free id and login to Our Roots. Pioneer Life on The Bay of Quinte, 1904 at Our Roots. You must login - It is free. History of the Settlement of Upper Canada with Special Reference to the B of Q, 1869 at GOOGLE. 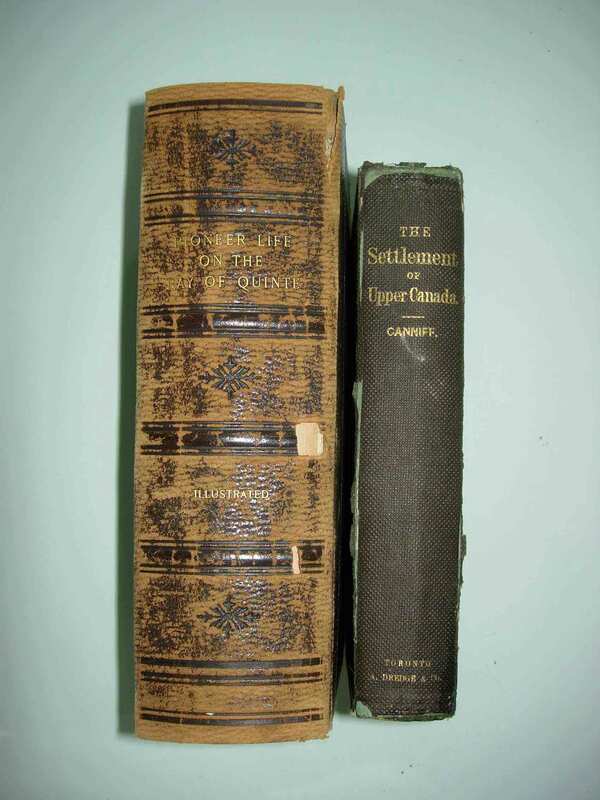 History of the Settlement of Upper Canada with Special Reference to the B of Q,1869 at OUR ROOTS. Two other books that I have found very helpful in understanding the social norms and tensions in early Upper Canada. Go here for links to online microfilm. Bill Martin's site - A vast collection of Ontario records including the Bay of Quinte. Don and Jeanne Ross - Dutchess County wills. Many Bay of Quinte settlers came from this area of NY. Ontario Gen Web - A must for Ontario researchers. Bay of Quinte Gen Web - Hastings, Prince Edward and Lennox and Addington. Quinte Branch - OGS - An active group of people. Congratulations. Ontario Vital Statistics Project - A major project worth your time to look around.